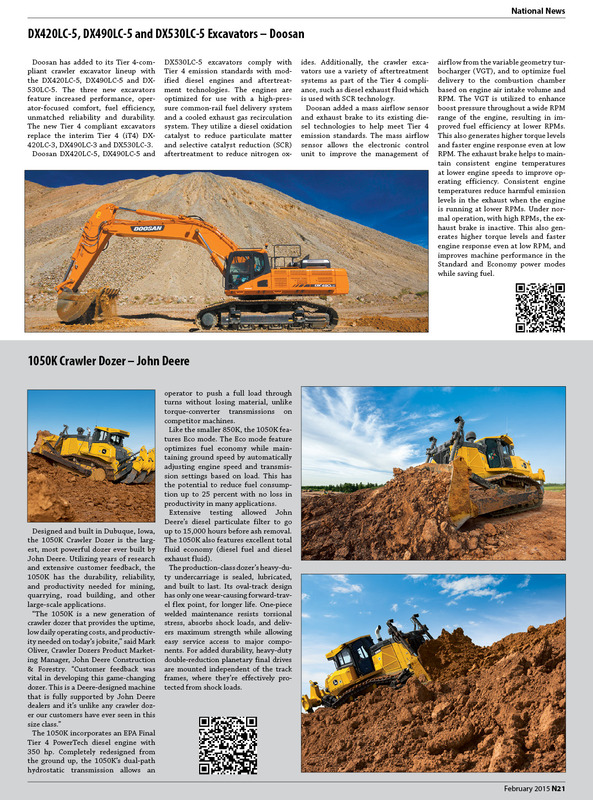 Published on February 22, 2015 in Equipment & Products and National. Closed Tags: Atlas Copco, Cat, Cat vocational truck, Caterpillar, construction, construction industry, contractors, Ditch Witch, Doosan, Doosan Excavators, Dynapac, equipment, excavators, heavy equipment, Hitachi, Hyster, I Rock, IMT, John Deere, John Deere Dozer. Published on June 7, 2010 in Daily Dirt. Closed Tags: economy, financial services, Hino Trucks, Hitachi, Hitachi Capital America Corp., transportation, trucks. Hino Trucks announced today that it has entered into an agreement with Hitachi Capital America Corp. that will expand Hino’s current commercial financing options. In addition to Hino’s captive financial partner, Toyota Financial Services, Hino’s dealers and customers will now have access to Hitachi Capital America Corp.’s retail and wholesale financing offerings. 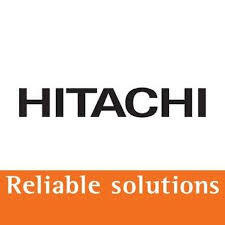 Hitachi’s dedicated team brings a wealth of experience and expertise in creating solutions for commercial truck financing and is uniquely positioned to address the needs of Hino customers. 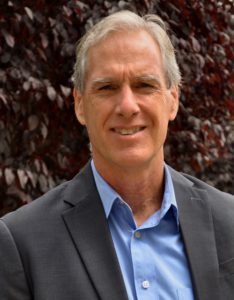 “It is a challenge in today’s financial climate to secure financing for a customer after they have committed to purchasing a new or used vehicle,” said Bob McDowell, Sr. Vice President, Sales and Customer Support for Hino Trucks. “Adding a well capitalized partner like Hitachi, who specializes in the medium duty truck market, is a tremendous asset to our growing dealer body and customer base,” he added. Published on April 13, 2009 in Articles. Closed Tags: Cat, Caterpillar, ConExpo, construction, diesel electric, dozers, excavators, Green, Hitachi, hybrid, I-SAM, John Deere, Komatsu, LeTourneau, Liebherr, MINExpo, Terex, Titan, Volvo, wheel loader. When I read the news item on six Volvo engineers winning a technology award for their work on the Integrated Starter Alternator Motor (I-SAM), a combined starter generator and drive motor, the information triggered memory cells and gave me cause to remember that there were several other interesting technology advances and introductions last year at ConExpo and later in the year at MINExpo. Diesel electric technology is not new to the construction and mining industries. For years diesel electric drivetrains powered off-highway haul trucks and, until Caterpillar introduced a mechanical drive, was actually the only technology available. The size of these haul trucks goes to more than 350 tons. The first giant was introduced by Terex in 1974 when it was a division of General Motors. It was appropriately called the Titan. The Titan was powered by a 16-cylinder 3,300/3,000 horsepower locomotive engine with a displacement of 10,343 cubic inches coupled to an EMD AR10-D14 generator. This Electro-Motive Division engine, as the 16-645E4 prime mover, was aftercooled and turbocharged. The generator then powered 4 electric traction motors, one at each rear wheel. The Titan featured large 40.00×57 tires made of rubber. It is 66 feet long and 22.6 feet tall; or 56 feet tall with the dump body raised. Terex assembled the Titan for Kaiser Steel in its Eagle Mountain iron mine in late 1974. At this mine, the Titan suffered from downtime problems but eventually hauled some 3.5 million tons of earth until 1978. In late 1978, it was then brought to Kaiser Steel’s Sparwood mine in Canada. In 1980, the mine changed hands as B.C. Resources acquired all of the Kaiser property, and was renamed B.C. Coal. In 1983, the mine was again renamed, to Westar Mining, and the Titan also changed colors from lime green to Westar’s blue and yellow. Shortly after, Westar bought the Titan from General Motors, along with $1 million in spare parts. In the following six years, the Titan had an uptime rate of over 70 percent hauling loads of over 360 tons. In 1991, the Titan roared off into retirement. Although designing trucks of this size was challenging, power and drivetrain weren’t the biggest obstacles from an engineering standpoint, tires were. The tire companies had the technology to build tires large enough to carry these monster trucks, they simply didn’t have the facilities in which to build them. The biggest deterrent has always been cost… how much can you charge for a tire — $10,000, $25,000? And, how many would you build a year? Diesel electric drive technology is what drives our trains, why not our construction equipment? Again, cost. Until recently, the technology, although improved since inception, has not made serious technological advances. Engines and generators have improved and become more efficient; switchgear and power transmission have become more reliable but we are still dealing with a diesel engine driving a DC generator that provides electric power to the drive motors that turn the wheels. Of course this is an oversimplification, but close enough to reality. Computers have once again proven to be a valuable ally in advancing technology. In 2008, several manufacturers introduced a number of new diesel electric, hybrid technologies that are very promising. The trucking industry has introduced a number of hybrid trucks that are very functional and make radical improvements on fuel consumption. A team of Volvo engineers was behind the development of I-SAM. When used as part of a parallel diesel electric hybrid system, it has the potential to reduce fuel consumption in wheel loaders by up to 50 percent – and up to 20 percent in trucks. This not only reduces fuel costs but also provides significant environmental benefits through lower emissions of carbon dioxide. The quiet and emission-free electric drive also improves environmental conditions in the vehicle’s surroundings. I-SAM was first presented in March 2006 as the market’s first parallel hybrid concept for construction equipment, heavy trucks and buses. The parallel hybrid concept is particularly suited for vehicles that drive at different speeds and start and stop frequently – wheel loaders being a prime example. When a loader drives away, it initially uses the electric motor until it reaches an optimum speed for the diesel engine to take over. When the loader brakes, the energy is absorbed by the electric motor and stored in the batteries – to be used later during the next acceleration. Everything is controlled by a sophisticated control unit, which was also developed by Volvo Group engineers. The concept was introduced to the North American construction market at the 2008 ConExpo in Las Vegas when Volvo Construction Equipment literally unveiled a production prototype of its L220F hybrid wheel loader. The new wheel loader offers more power, better performance and a 10 percent reduction in fuel consumption. The overall return on investment in the L220F Hybrid is expected to be much greater than the savings reflected in reduced fuel consumption. Up to 40% of a wheel loader’s time can be spent with the engine idling. The ISG allows the diesel engine to be turned off when stationary – and then almost instantly restarted by rapidly spinning the engine up to optimum working speed using a burst of energy from the high power battery. rque ‘boost’ – as the ISG’s electric motor offers torque of up to 516.22 foot pounds from standstill. Put in engine power terms – the ISG adds up to 67.05 horsepower of instant mechanical energy. The combination of these two attributes of the ISG mean that the diesel engine will remain off for long periods when it would otherwise be idling – and that the operator does not need to over-rev the engine in order to get sufficient torque to work, as peak torque will be offered at almost tick-over engine speeds. The battery is then replenished automatically without reducing productivity, with the ISG acting as a dynamo/alternator. While the ISG is the heart of the system, there are other energy saving innovations in the L220F Hybrid, such as an electrically powered climate control system (rather than being powered directly by the engine). When coupled to the non-hybrid L220F’s already efficient Volvo Advanced Combustion Technology (V-ACT) engine and hydraulic systems, the L220F Hybrid’s additions make for dramatic improvements in efficiency and economy without a reduction in reliability. The Volvo L220F Hybrid will be Volvo’s first commercially available wheel loader when deliveries begin in late 2009. This first-generation machine will spearhead a sea of change in the industry, highlighting to customers that buying hybrids offers much more than “just” environmental benefits. The key advantages of the Volvo hybrid system is that of much lower fuel costs combined with improved performance. The Volvo L220F Hybrid means higher efficiency and reduced fuel consumption and reduced impact on the environment. Marathon Letourneau, along with several other manufacturers, has been producing diesel electric wheel loaders and log stackers for years. At the same ConExpo, LeTourneau Technology Inc. (LTI) introduced its latest development in diesel electric drive technology, also in a wheel loader. LTI has developed a machine that uses Switched Reluctance (SR) Motors and Drives. LTI Power Systems’ Switched Reluctance (SR) drive systems, consisting of motors and controls, are proven to deliver reliable, high torque performance in even the most demanding heavy equipment applications. Remarkably simple in its design, the SR drive system has established new standards for performance, long life, reliability, and ease of maintenance. The system consists of a brushless switched reluctance motor combined with high-power semiconductor switches and digital controls. The SR motor includes a rotor with no magnets or windings and a stator whose poles contain a winding, similar to a field of a DC motor. The SR system employs the principles of magnetic attraction to move the motor’s rotor from pole to pole, creating rotation. The unique SR motor achieves rotation by the sequential energizing of stator poles. When the stator pole winding is energized, the nearest rotor pole is attracted into alignment with that stator pole. The rotor will follow this sequence, attempting to align rotor poles with energized stator poles. However, as the rotor and stator poles align, the stator poles switch off and the next group of stator poles switches on, continuing the rotation of the rotor. The switched reluctance motor generates continuous movement by consecutively switching the currents on and off, thus ensuring the poles on the rotor are continually chasing the stator current. The movement achieved is a function of the current through the winding and the characteristics of the iron in the rotor. For added reliability, all LTI SR systems feature sensorless technology that allows the position of the rotor to be determined without external sensors. The success of Switched Reluctance technology has been made possible by using the principle of magnetic attraction in conjunction with today’s high-power semiconductor switches and digital control techniques. IGBT (insulated gate bipolar transistor) switching provides the required precise control of high horsepower SR motors. In addition, SR drives feature a motor coil in line with each IGBT, providing system impedance and a higher level of control over any type of system fault, resulting in a durable and reliable system. SR drive offers a number of key benefits. It offers high-torque capability down to and including zero speed, with full control at zero speed with, or without speed sensors. In addition, there are no windings on the rotor, adding to the durability of the motor. There is also no commutator maintenance and no brushes or brush rigging to maintain, so the system requires very little attention. And since the system features low rotor inertia, it benefits gearing life, especially if the application involves frequent stopping and starting. The technology is used to power the LeTourneau L-950 and L-1350 wheel loaders. Caterpillar introduced the first-of-its-kind electric drive track-type tractor also at the 2008 ConExpo. The revolutionary electric drive system developed for track-type tractors gives the D7E an unmatched balance of power, efficiency, control and maneuverability. 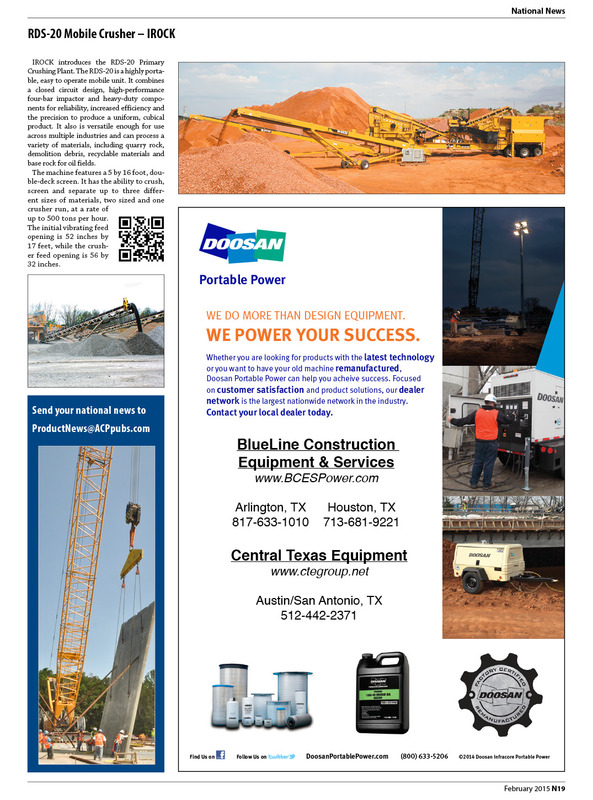 The machine was on display at ConExpo and was also demonstrated at an off-site facility for potential customers and industry editors. From a performance standpoint, this new product demonstrates Caterpillar’s commitment to the industry with a machine that does more work and consumes less fuel and parts while providing customers with lower operating costs. Caterpillar plans to commercially introduce the D7E in select markets during 2009.
ry components so that no engine belts are needed. The C9 engine, complete with ACERT Technology, meets U.S. Tier III emissions standards, and the tractor has been designed with Tier IV in mind. The new D7E has other innovative new features including an exclusive center-post cab, beltless engine and SystemOneTM undercarriage. In 2006, Caterpillar announced that it would be entering the electric powered mining truck market and did with the introduction of 793F AC (240 – 250 ton capacity) and 795F AC (345 ton capacity) at MineExpo November 2008. Both models were expected to be in production by 2010. In 2007, Komatsu Ltd., introduced the PC200-8 hybrid excavator powered by the Komatsu Hybrid System, which uses a newly developed electric motor that turns the upper structure, power generation motor, capacitor and diesel engine. Compared with the standard PC200-8 hydraulic excavator, the hybrid model achieves about 25 percent reduction of fuel consumption. Earlier in 2007, Komatsu launched the world’s first hybrid electric forklift trucks on the market. Compared to the standard PC200-8, Komatsu achieved an average of 25 percent reduction in fuel consumption. In customer field-testing, the PC200-8 attained a maximum reduction of 41 percent on a jobsite where the machine’s upper structure was required to turn more frequently. The proprietary Komatsu Hybrid System converts energy generated when the upper structure reduces its speed while turning, stores the energy in the capacitor, and uses it to assist the power of the engine via the power generation motor when the engine accelerates. Typically, this turning function is accomplished with hydraulics on other excavators. While standard equipment normally uses a hydraulic motor to turn the upper structure, for this movement, Komatsu had developed an electric motor. This electric motor collects energy generated when the upper structure’s turns slow down. While standard construction equipment uses only diesel engines for power, Komatsu’s new hybrid excavator uses regenerated energy to assist the engine when it is accelerating, enabling the use of the engine in a low revolution zone with high-efficiency combustion. In addition, while the engine runs at idle, the hybrid excavator keeps the rpm at a super low level, 700 rpm, achieving impressive reductions in fuel consumption. Komatsu points out that hybrid cars require a large amount of electric energy when they start moving and accelerating, then they can run with relatively stable engine revolution. By comparison, construction equipment has to accommodate dynamic and frequent fluctuations of the engine revolution to work. To assist the engine for such fluctuations, the PC200-8 Hybrid is mounted with a capacitor. Automotive batteries work on the principle of chemical reactions, thus it takes time for them to discharge electricity, lacking sufficient support when applied to construction equipment. Meanwhile, capacitors can instantaneously and efficiently collect, store and discharge electricity. The dynamo-electric motor arranged between the engine and the pump improves the transmission efficiency to the hydraulic pump. When the engine is idling, the motor generates power and recharges the capacitor at the same time. The inverter and the capacitor are integrated with a booster for size reduction. The new system is also equipped with a special water cooler. The company developed a new-dedicated reducer and the electric motor, which collects the energy when the upper structure slows down while turning. During acceleration, electric motors are more efficient than hydraulic motors, thus enabling the machine’s upper structure to turn more smoothly, according to the company. Komatsu manufactured all the components in the system by itself, except for the capacitor cell. The company used a capacitor as a means of power storage because they can quickly charge and discharge electricity. In excavation work, etc., conducted by construction machines, the method of power storage needs to follow changes in engine speed, which frequently varies over a short period of time. The capacitor has a relatively long life because, in theory, it is free from heat generation or deterioration and according to Komatsu, does not require maintenance. In the center of the monitor the PC200-8 Hybrid displays a bar graph, which indicates the amount of fuel consumed over the last five minutes. By switching the screens, the operator can check the fuel consumption data for the past one hour, 12 hours, one week or one month. The operator can also monitor the charging/discharging process by the capacitor, or how the dynamo-electric motor assists the engine. There are other manufacturers that have been developing technologies to better meet the demands of the future. Equipment manufacturers like Liebherr, Terex, Sumitomo, Deere and Hitachi aren’t likely to sit on their hands while the industry makes these technological advances. Published on February 16, 2009 in Digging for Dirt. 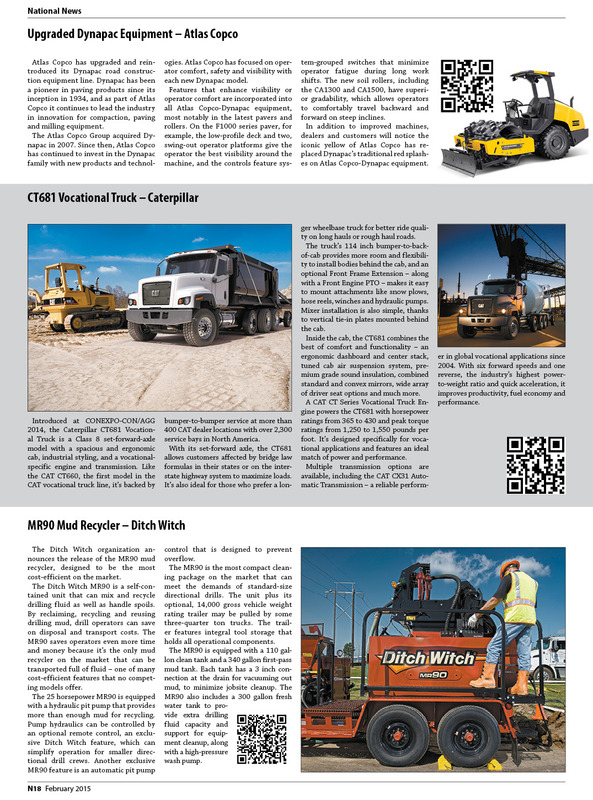 Closed Tags: Attachmart.com, attachments, compact excavator, Heavy Equipment Forums, Hitachi, safety, toolcarriers. Getting the most out of your equipment makes a difference in your profitability. The more uptime per machine the greater your ROI. One way of squeezing the maximum uptime out of a piece of equipment is through the use of attachments. Virtually every machine has attachments that will expand its functionality. There are machines like toolcarriers that are designed specifically for attachments. 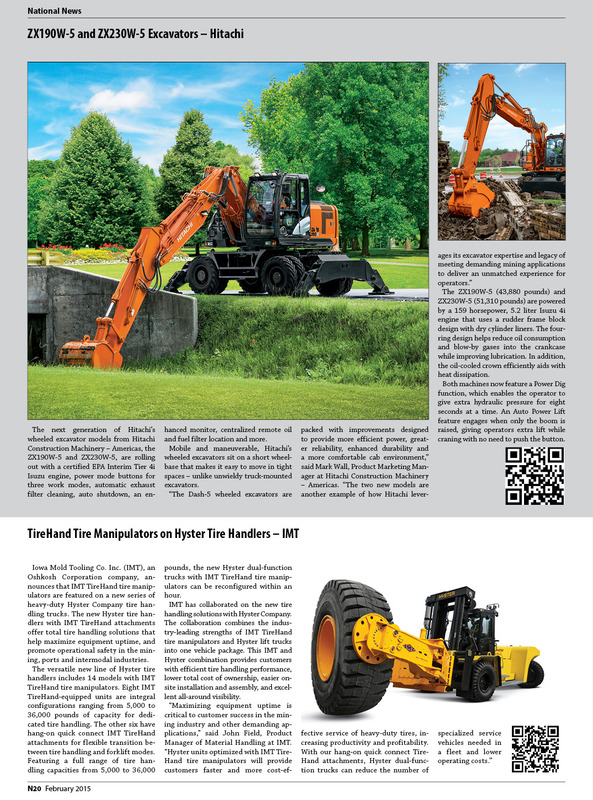 In today’s equipment market there are Integrated Toolcarrier (IT) versions of a wide array of machines – wheel loaders, backhoe loaders, skid steer loaders, compact track loaders, and the list continues to grow. Buying and fitting attachments to equipment isn’t always as simple as it sounds. You have to make certain that there are matches between the machine’s lifting capabilities and the size attachment being applied, as well as the machine’s hydraulic system capacity for hydraulically powered attachments. Safety is an important consideration when fitting an attachment to a piece of equipment. You need to know if the attachment will throw the machine off balance or effect it’s maneuverability or other handling characteristics. Or will the attachment slow the machine’s operation to the point that it can’t perform safely? Another site for answers to equipment related questions is Heavy Equipment Forums, which is exactly what the name implies. It is a group of forums populated by equipment owners, users, dealers, and others who have interests in the industry. This site provides a medium for discussion about heavy equipment. You can take a tour but need to become a member to participate. I have only recently joined and have found it to be very interesting and informative. Let me know what you think. The Hitachi Zaxis 85USB-3 excavator is a compact ultra-short machine suitable for landscaping, light residential, urban renewal, and underground utilities. The compact design eliminates problems with tail swing and allows the operator to get close to buildings or other structures. It has undercarriage options. You can choose steel shoes or outfit it with rubber pads or rubber crawler belts. The shape of the backfill blade provides better crowding performance, additional machine stability and is easily seen by the operator. The swing boom adds yet another dimension of performance by enabling parallel digging to walls, guard rails and foundations, making it ideal for excavation and utility work. A turbo-charged Isuzu 4LE2X engine powers the Zaxis 85SUB-3 and Hitachi’s own patented HIOS III hydraulic system. The Tier-4 certified engine works very well at high altitudes without sacrificing performance. Two operating modes can be selected to match engine rpm to the operating conditions and application. The E (economy) mode for light-duty work reduces fuel consumption from eight to twelve percent, by lowering engine speed. It also reduces noise levels. The P (standard) mode provides power and fuel economy for most tasks. It controls the engine speed from slow idle to fast idle in response to the position of the engine speed dial. Regenerative flow on the boom, stick and bucket cylinders result in faster down movements, extremely fine control and multitasking. The special shape of the ZX85USB-3 cab accommodates the path of the swing boom without sacrificing comfort or convenience. The cab also features a deluxe suspension cloth seat, advanced multilingual LCD monitor, slide-open front glass, generous leg room, short-throw/low-effort controls and tinted, transparent roof window.